The newest announcement coming from Wizards of the Coast this morning is that you will be getting the core of the new edition of Dungeons & Dragons for free. Previously mentioned as something “outside the box” of the Starter Set and being a free “15%” of the core rules, we now know that this PDF will be known as Basic Dungeons & Dragons (in homage to the old “starter sets” of the 70s and 80s, and it will be free and contain all of the basics of character creation. Regardless of this little release hiccup, it looks as if gamers will be getting a nice, free core to the Dungeons & Dragons experience. Much like with many contemporary MMOs, this will be a “freemium” experience. You get the core materials for free and then you can upgrade to expanded material at a cost. 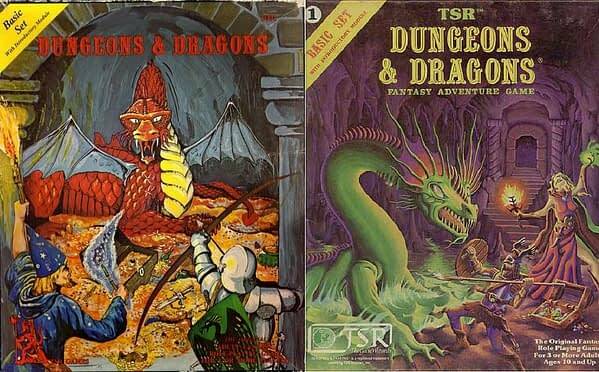 I wonder how long it will be until there is a print version of Basic Dungeons & Dragons to augment the free PDF? It looks like gamers are already clamoring for it. Christopher has a crowdfunding page to help raise money to defray the costs for going to the Gen Con gaming convention and cover it for his Dorkland! blog and Bleeding Cool. Please click here to go to the page and help out.